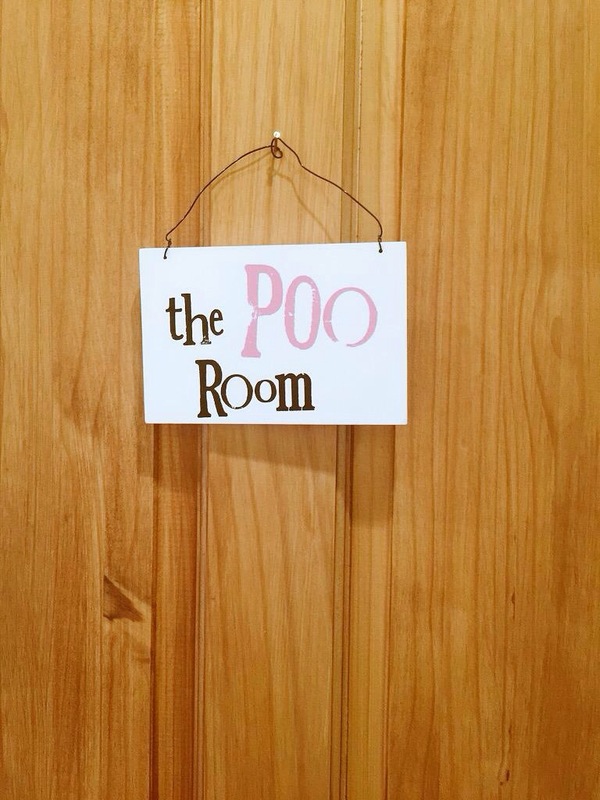 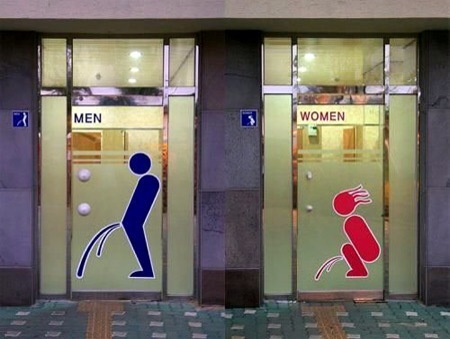 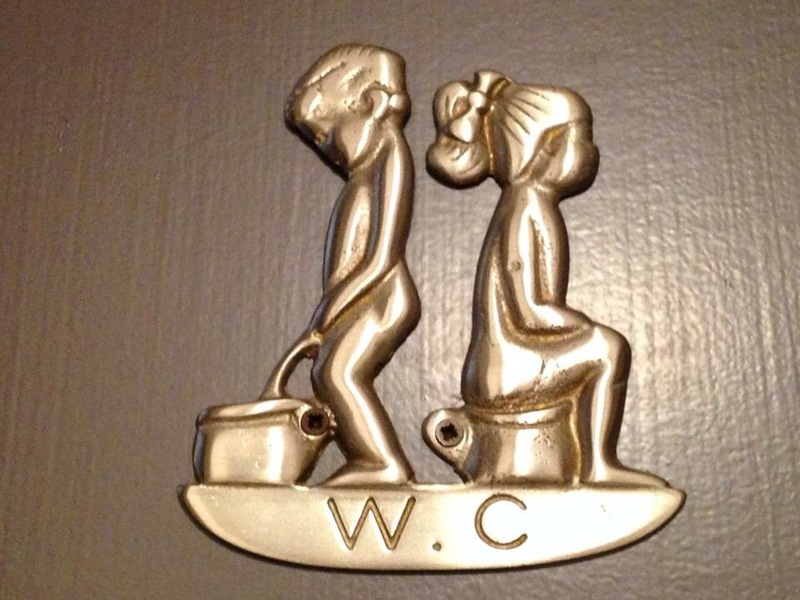 Here Weird, craziest and funniest washroom sign around world. 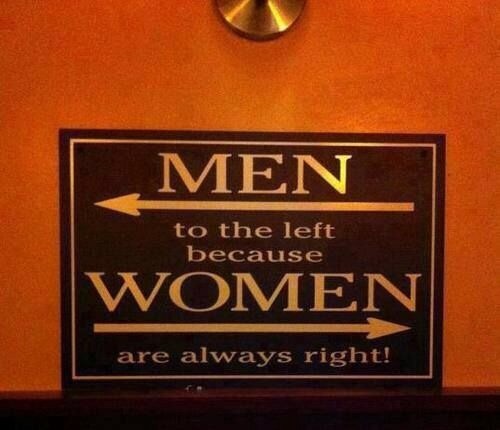 No 9 craziest !! 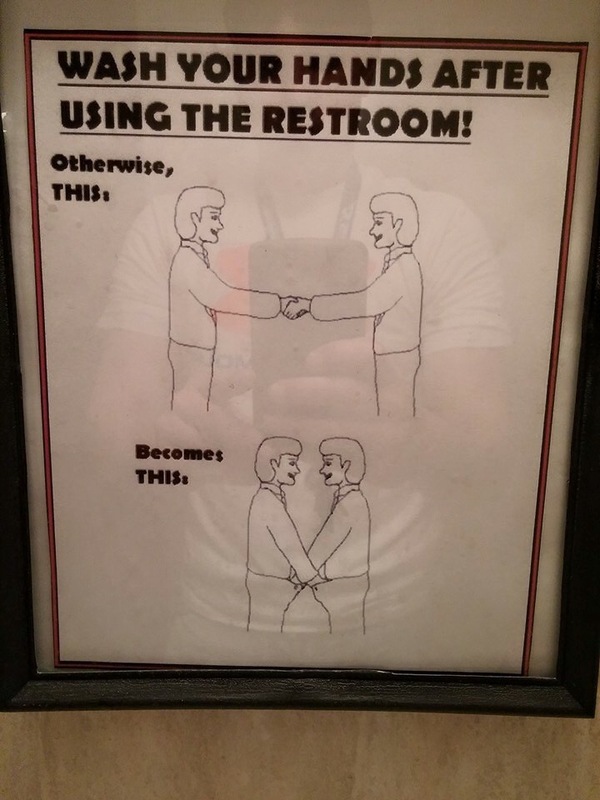 3) Funny note for employee : Wash your hands after using the restroom… Otherwise..
7) Men vs Women Washroom sign : Men to the left because women are alwyas right !! 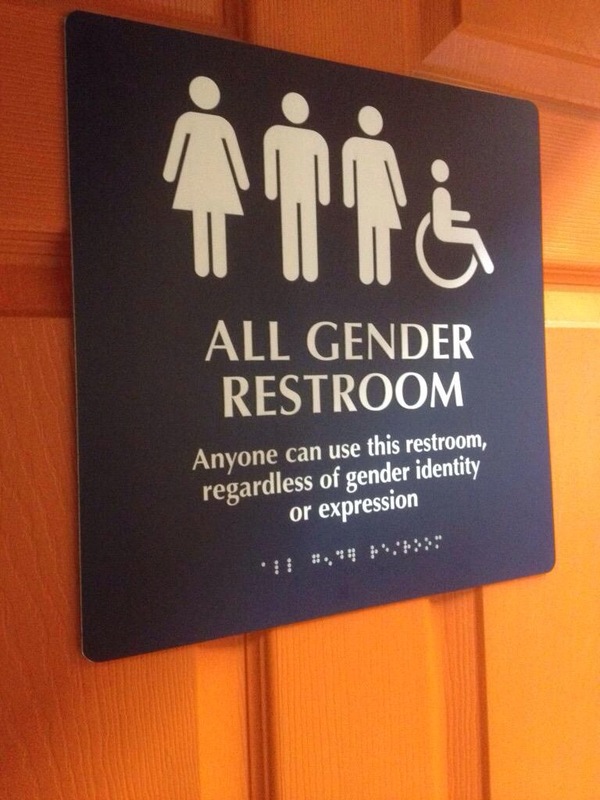 8) Here is all gender washroom (new trend) : any one can use this restroom regardless of gender identity or expression. 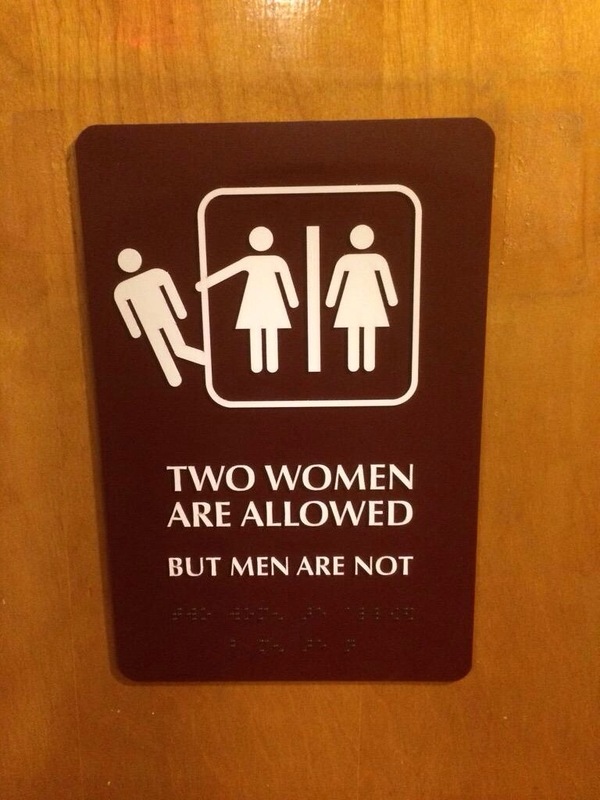 9) Two women are allowed but men are not.. 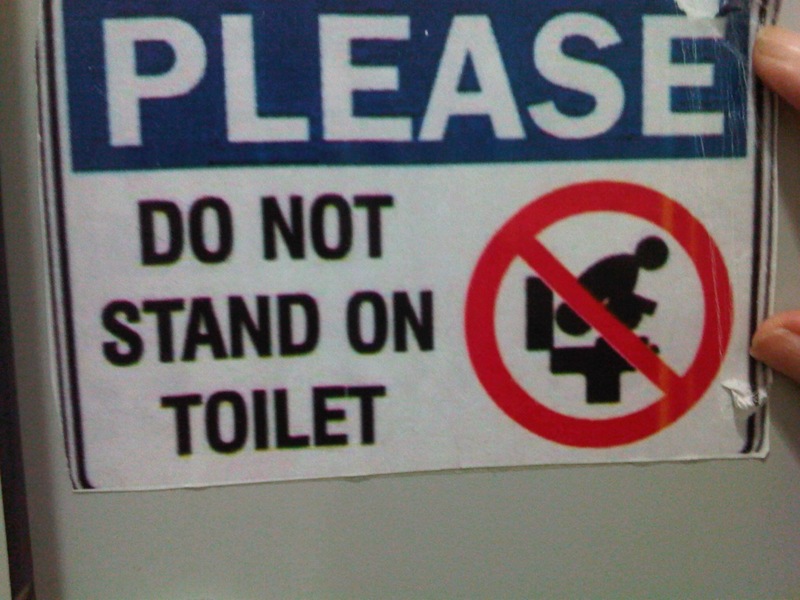 Put funny sign in comment if you seen anywhere. 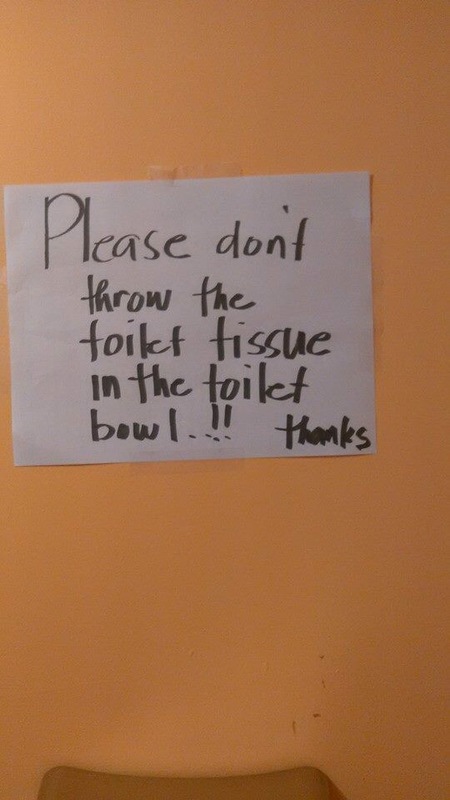 We will update post with your funny sign.